This program ensures that girls have access to high quality Math SAT prep, social emotional development and mentoring regardless of race, gender or socioeconomic status. Your support ensures that girls who want to GO TO college not only have the academic competence but the social and emotional foundation needed to get there, stay there and do so with excellence. Your donation will help to provide for the human and material resources needed to provide high quality SAT preparation and mentoring for girls who are academically excellent but limited in opportunity due to racial, financial or gender based barriers. Your contributions are critical to ensuring that all girls in America have access to high quality math SAT prep, high quality college preparation and high quality mentoring. If you believe in justice, equity, empowerment...if you believe in liberation and humanization...donate to this cause! It will ensure that money is not a barrier to accessing not only what many see as the American Dream, but for each girl in this program to realize their own personal dreams because EVERY CHILD deserves to realize his or her dreams! With donations between $5-$25, you provide essential materials including journals, folders, paper, pencils and other supplies. With a $25 donation, you provide a brand new College Board SAT prep book and supplemental learning materials. With a $100 donation you are providing one girl with her own graphing calculator for use on the SAT and in college. With a $250 donation, you provide a partial scholarship for one semester. With a $500 donation, you provide a FULL scholarship for one semester. With a $1000 donation, you provide a FULL scholarship for one year. Please read more to learn more about the "herstory", purpose & rationale, outcomes as well as intention for your financial support of BlackGirlBrilliance Saturday School. Camille Fair Bumbray is the founder of Institute for Fair Education, Excellence & Empowerment, and the visionary behind Black Girl Brilliance. 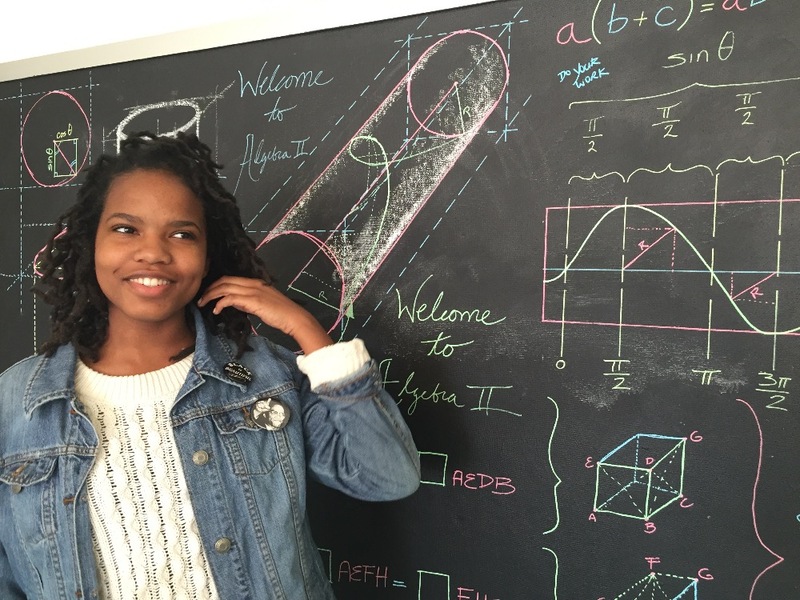 Mind Over Math, her teen leadership and empowerment academy is uniquely focused on Math and Mindfulness. This program offers what no other program offers for a population that is inadequately served in schools across America. The mother of four beautiful and brilliant black girls, Camille is a Ward 7 resident and parent leader for Chancellor Kaya Henderson’s advisory cabinet. Camille has a purposed commitment to, passion for and expertise with black girls. 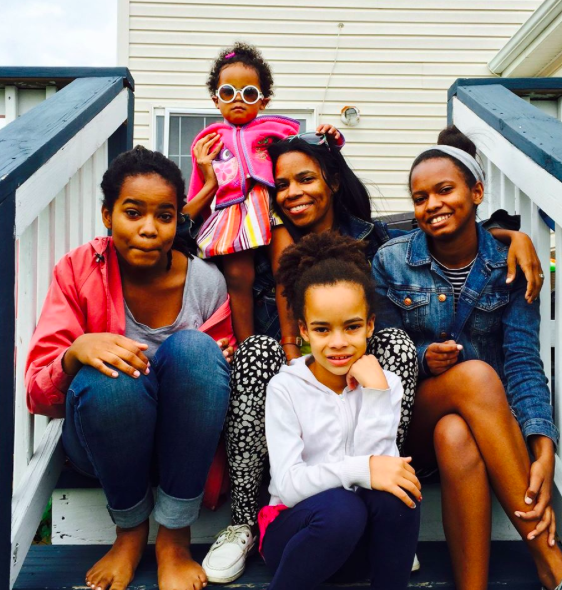 Camille, who is always surrounded by and learning from the experiences of black girls, increasingly noticed two critical areas of need among her own daughters and their friends. The first was gaining access to high quality math instruction and opportunities to learn in urban public schools. The other, and equally important, was the need and right to be recognized as human beings, worthy of and deserving of love, acceptance and respect. In response to those needs, Camille assembled a select group of master educators, experts and elders, all phenomenal women, whom she affectionately regards as her "village". Camille has been a K-12 math educator, special educator and teacher educator in urban public and charter schools for 15 years. The first in her family to go to college, Camille is now working to be the first PhD in her family. She is a second year doctoral student at the the University of Maryland, a Research I institution. She also works as a teaching and research assistant at the University. With this program, Camille aims to provide financially accessible and quality SAT prep for girls in the DMV, especially those from Wards 7 and 8, while offering a complementary focus on freedom, resilience and personal fortitude through wellness. Ultimately, Camille aims to reduce vulnerability and increase vitality among adolescent Black girls across America. BlackGirlBrilliance is a call to action. 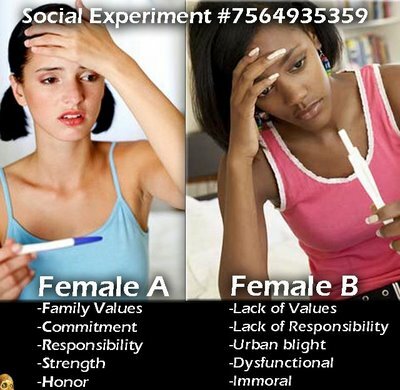 Did you know that Black women are the most neglected and underserved population in America? Black girls, who grow into mothers and heads of households, have the most abysmal academic, social, economic, health and life outcomes, coupled with the shortest life expectancy among all other racial and ethnic groups in our country. *In 2014, 15% of DCPS High School girls reported attempting suicide, 33% thought about it and 33% reported feeling depressed for more than half of the year. *Approximately 33% of teen girls in Ward 7 and nearly 40% in Ward 8 are estimated to become teen mothers. Teen girls who have babies are less likely than other teens to finish high school and to be poor as adults. #BlackGirlBrilliance prepares students with knowledge, skills and mindsets that elevate them to academic excellence and personal transformation. Our BIG and BRILLIANT goal is to provide a FULL SCHOLARSHIP to each eligible girl that applies to our program. As wisdom teaches us, it takes a village to raise a child. We are not only raising our children, we are educating, elevating and empowering them to excellence. We have selectively and strategically assembled a village of incredibly knowledgeable, talented and skilled female educators, who have years of experience doing transformative work in our communities. Among us are 3 PhD candidates and 3 master educators with multiple Master's degrees. In addition to having a village, however, it takes resources to sustain the village, right? We have commitments from the best and brightest educators and experts. Accordingly, we must acknowledge their time, energy and expertise. 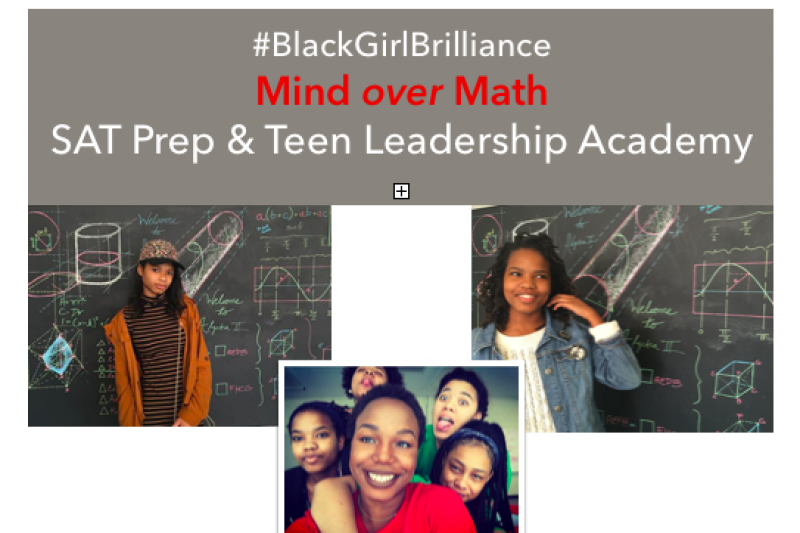 BlackGirlBrilliance Saturday School offers high quality, small group SAT prep coupled with mentorship at 1/3 of what it costs for standard SAT prep for 3 times the value. We have calculated the operational costs and creatively found ways to significantly reduce and elimate many overhead costs. Nonetheless, we must still cover associated costs with providing a service and operating a program. Your donation will help to provide for the human and material resources needed to provide high quality SAT prepartion and mentoring for Black girls in Washington DC. As we grow and expand, preparing each student to score 800 on the math SAT, we imagine raising additional funds to provide students with graphing calculators, stipends for attending and financial assistance for test enrollment. Thank you for helping us to not only dream beautiful and brilliant dreams, but to make them come true! THANK YOU Ayesha NuRa for your MASTER CLASS with the ladies of Black Girl Brilliance! The power hour of self-love, self-awareness and self-healing was so empowering and whet our appetite for more and more and more!!!! We look forward to having you again when it warms up and perhaps even manifesting a retreat as a year end treat!!!! Shout out to UMD family Nana Brantuo, Alice Cook, Kristin Sinclair and Colleen Gannon for supporting work committed to bringing issues of race and gender from margins to center. Your incredibly generous donations of time and money coupled with those gifts from friends of BlackGirlBrilliance: Sherry Bellamy, Melissa Guzman, Adrienne Reynolds, Raf Collado and Mara Ciardi, have pushed us almost 1/5 of the way toward our Big, beautiful and brilliant goal. We are thrilled to have come this far in such a short amount of time, but we have to go much farther in much less time. Continue to spread the word via FB, Twitter, email, conversation because black girls are beautiful, brilliant and deserve the best that life has to offer! Thank you so much for your donation to and support for BlackGirlBrilliance Saturday School. We have a BIG and BRILLIANT goal to provide every eligible student with a full scholarship. Your donation gets us one step closer to that goal! Please continue to help us achieve this incredibly important target by spreading the word and sharing within your networks.